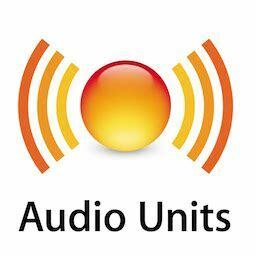 AU or Audio Unit is an audio plug-in format developed for macOS and iOS. In many ways, it can be considered the Mac equivalent of VST plug-ins for Windows PCs. But the truth is that both plug-in formats are more similar than they are different. And of course, VST plug-ins can be used in DAWs running on macOS systems as well. In fact, VSTs can even be used in DAWs that support AU plug-ins exclusively (more on this later). In any case, AUs are most commonly used in DAWs that run on the Mac/Apple operating system. In fact, few plug-ins intended for use in a Mac system today come in VST format. Most Mac VSTs still in use today are throwbacks from the pre-OSX days, when an official Mac audio plug-in format had yet to be developed. Mac users these days tend to use AU plug-ins exclusively, only opting for a VST if there is no AU version available. Like VSTs, AU plug-ins span the range from software instruments to effects units. They may generate sounds, as in the case of software synthesizers, or they may process audio, as in the case of reverb or delay plug-ins. Whether used to generate sounds or to process them, AU plug-ins are capable of low-latency performance, with practically real-time output. Perhaps the most significant difference between AU and VST plugins is that AUs are system-level plugins that are intrinsically tied in with the macOS or iOS Core Audio system. AUs are essentially component resources that are scanned by the operating systems of Apple devices or computers. In contrast, VSTs are scanned individually by the VST-capable host. AUs also do not utilize a system of “program slots”, which characterize most VSTs. However, some do have lists of presets, which generally cannot be overwritten by the user. More interestingly, parameters of AU plug-ins have arbitrary 32-bit IDs, as opposed to the numbered increments used by VST plug-ins. With string arrays for discrete parameters, AUs are able to convert parameter values in an arbitrary fashion at any time. With VSTs, only parameter values currently assigned can be converted. Other important characteristics of AU plug-ins are silent buffer optimizations, and inherent routing flexibility. All inputs and outputs of AU plug-ins are routed into busses automatically, with different input and output configurations possible. What if you want to use a VST plug-in in a host that supports only AU plug-ins? Wrappers have been developed that make this possible, the most popular one being FXpansion’s VST-AU Adapter. The wrapper is still available from the company, and it will still work for most VST plug-ins. However, development of the wrapper has ceased, it is no longer officially supported by the company. With so many VST plug-ins now available in AU format as well, FXpansion apparently saw little need for continuing development and support for a VST-AU wrapper. One thing that should put the whole VST-AU connection into perspective is that AUs can technically be considered simply as VST plug-ins that are already packed in a wrapper. Making a strong case for this argument are Tone2’s AUs, which are pretty much VSTs with an added layer that ensures AU compatibility. Some have even suggested that the absence of the layer on the VST versions of the plug-in makes them more efficient and more stable than their AU counterparts. Further adding fuel to the fire are comments by Audio Damage’s Chris Randall, who explained AUs as simply VSTs with “an extra layer of crap on top”, which makes them function as AU plug-ins. In fact, the company’s own recent AU offerings utilize Sonic Charge’s Symbiosis compatibility layer. Chris went on to say that most commercially-available AUs are simply VSTs wrapped in some form of compatibility layer or another, and that actual AU plug-ins developed from the ground are fairly rare. Audio Damage is of course one of the most respected names in plug-in development circles, so Chris’s words do carry some weight. But what he went on to say definitely raised a few eyebrows, even among Audio Damage’s most ardent fans. Faced with a choice between a VST or AU format of the same plug-in, Chris’s opinion is that the VST version is always the better option. For him, the only justifiable reasons to opt for the AU version are a) if there is no VST option available, and b) if the user wishes to create presets for use in Logic or Digital Performer. You can find AU plugins, as well as other types of plugins from our audio plugin guide.